She was born in Ganja in 1987. She finished the Children’s School of Arts of Ganja in 2004. She’s a student of the Azerbaijan State Academy of Arts. Since 2006 she is a member of Azerbaijan Cartoonists Union. 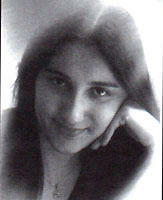 She is a member of Azerbaijan group in FECO (International Federation of Cartoonist Organizations).